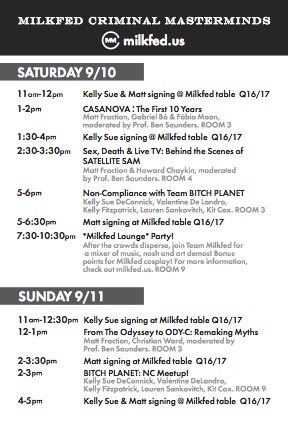 September 10 - September 11 Milkfed Schedule at Rose City Comic Con 2016! 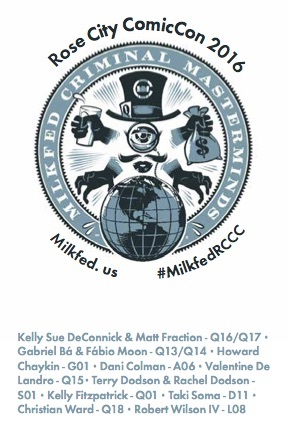 Don’t miss a minute of Team Milkfed madness @ Rose City Comic Con 2016! …And don’t forget to check out Team Milkfed in Artist Alley all weekend!